President Donald Trump sought to mend relations Friday with a key African leader in the aftermath of his controversial comments about African nations, praising the US partnership with Rwanda along the sidelines of the annual World Economic Forum. Trump's meeting with Rwandan President Paul Kagame came shortly after Trump drew widespread condemnation for allegedly referring to African nations as "shithole countries" in dismissing a bipartisan immigration proposal, according to those at the meeting. The president has denied using that language. Others present insist he did. Trump described having "tremendous discussions" with Kagame, who is beginning a one-year term as head of the African Union, a 55-member continental body that criticized the US president's remarks. Neither Trump nor Kagame made any mention of the row during brief comments to reporters. "It really truly is a great honor," Trump told Kagame, noting his role with the African Union. "So please give my regards, I know you're going to your first meeting very shortly. Please give my warmest regards. But it's an honor to have you as a friend." Trump tweeted after the meeting that it "was an honor" to meet with Kagame. "Many great discussions!" Kagame said they had "good discussions" on economic and trade issues. He said the African Union is "looking forward to working with the United States." 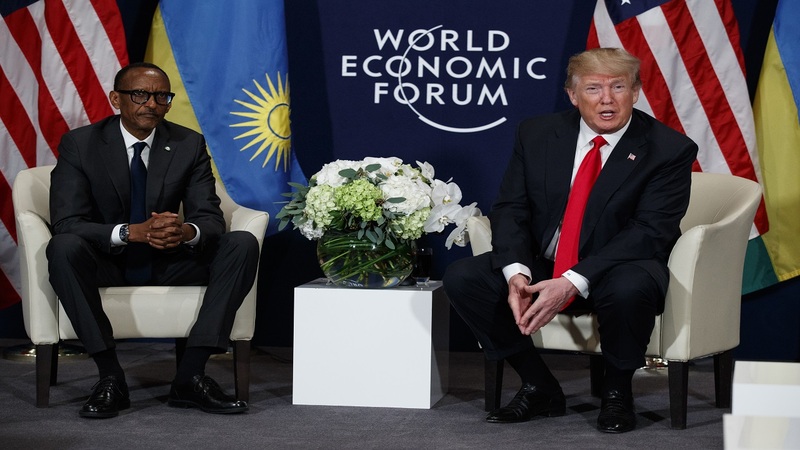 The Rwandan government said Kagame "observed that many of the world's fastest-growing economies are in Africa, and commended President Trump for the United States' attention to the importance of economic development on the continent." It said they discussed counterterrorism, US-Africa trade and African Union reform, and "reaffirmed the pre-eminence of mutual understanding." 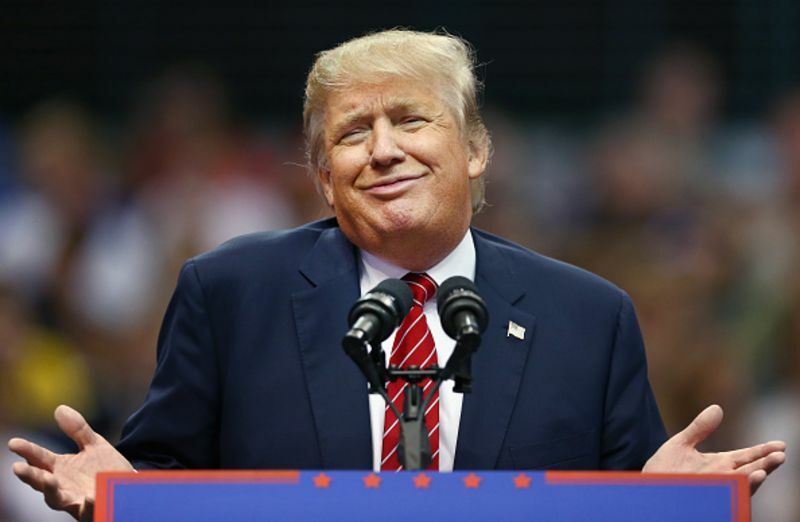 The African Union and several African nations expressed shock and condemnation over Trump's remark, with an African Union spokeswoman saying the organization was "frankly alarmed." Dozens of former US ambassadors to African countries wrote Trump expressing "deep concern" over his comments. The State Department hurried to reassure African nations, with the department's Bureau of African Affairs tweeting that "the United States will continue to robustly, enthusiastically and forcefully engage" with them. Uganda's president, Yoweri Museveni, countered by expressing his love for Trump and saying he should be praised for not mincing his words. 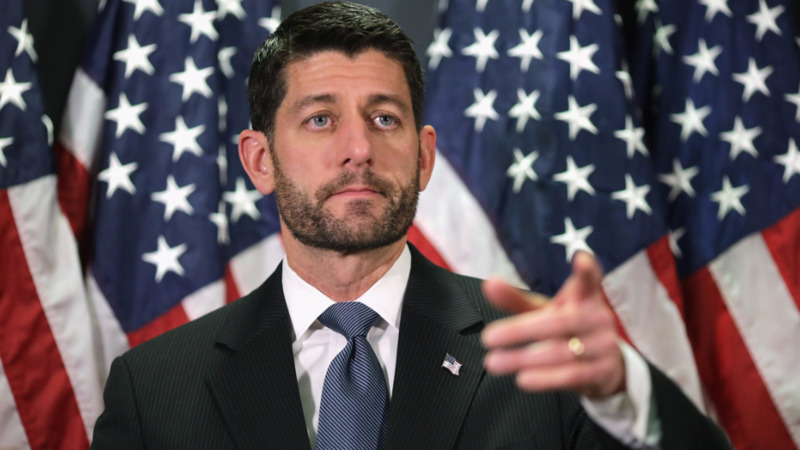 "I don't know whether he was misquoted or whatever. But he talks to Africans frankly," Museveni said at the time while addressing African legislators. "In the world, you cannot survive if you are weak." Heads of state are expected to come up with another response to Trump at an African Union summit starting Sunday in Ethiopia. The US will be represented at the gathering by Ambassador Mary Beth Leonard, the US envoy to the AU, instead of the traditional high-level delegation. Kagame has led his East African nation of 12 million people since the end of its genocide in 1994 in which more than 800,000 people died. He has been praised for the country's economic growth, but human rights groups accuse his government of using state powers to silence opponents.